Yoshikin 30th Anniversary Cooking Knife Promotional Gift! This promotional gift was produced by a popular Japanese Stainless Steel, one-piece knife company called Yoshikin, that was originally created in 1983. In 2013, Yoshikin hit their 30th anniversary since they first began manufacturing. 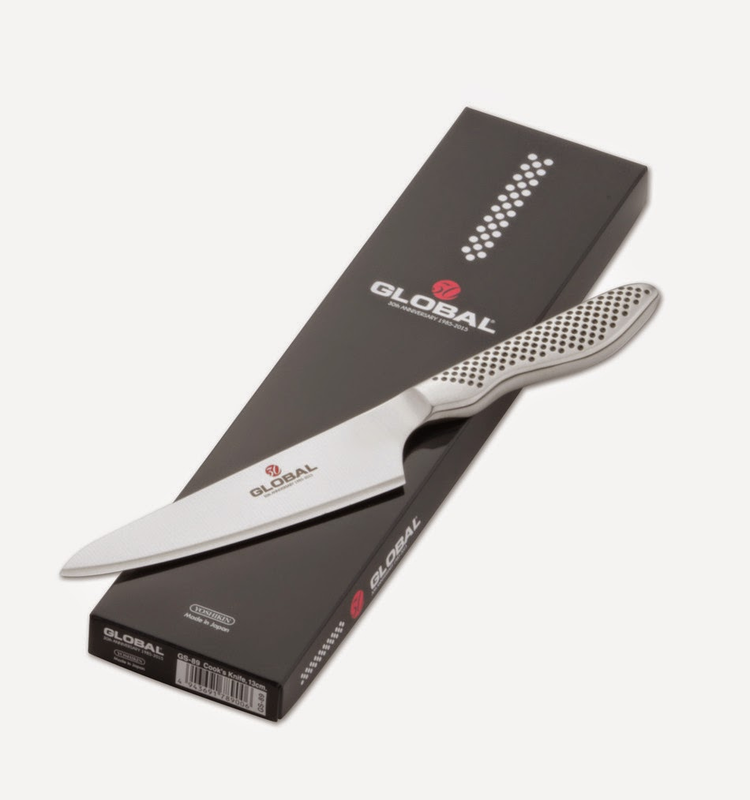 For this special occasion Yoshikin offered an exclusive stainless-steel knife, with their branding on the blade, along with high-end packaging! What's so great about a stainless-steel knife as a anniversary promotion? Whats great about it is the product itself, because stainless steel doesn't rust, corrode or stain, like so many knives do. Which means that this knife will likely be used for years to come, which in turn will increase brand awareness and strengthen your customers views on the quality of your products! Although its not only the high quality product that makes it great for a promotion, it's also the fact that they're sharing this tremendous achievement with their customers who have continued to support them throughout the past 30 years.